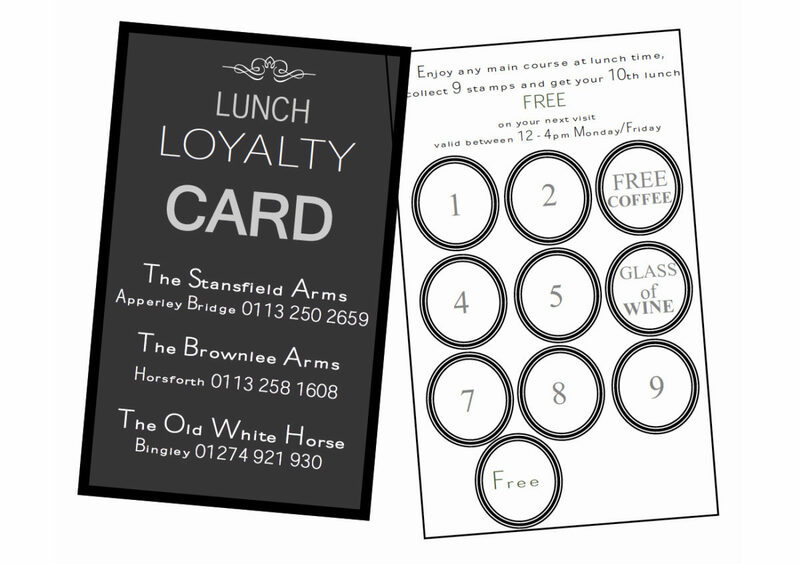 Special loyalty cards are now available, valid at all our pubs! Ask a member of staff to get yours. Can be used at: the Chevin Inn, Otley; the Brownlee Arms, Horsforth; the Old White Horse, Bingley; and The Stansfield Arms, Apperley Bridge.